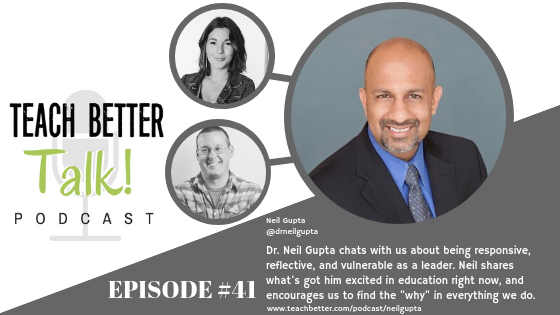 41: Heart of a Marshmallow – Neil Gupta chats with us about being responsive, reflective, and vulnerable. 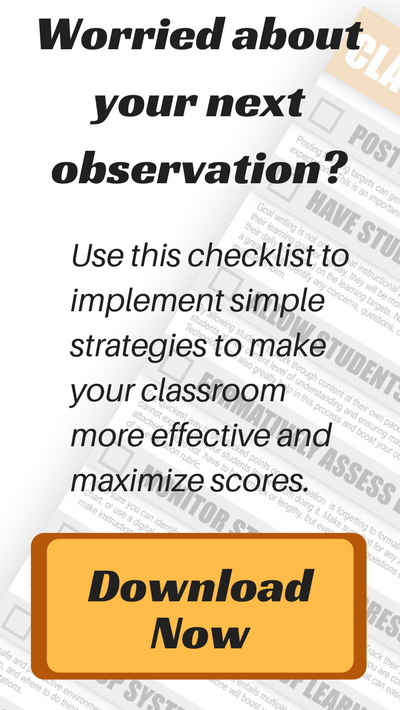 Dr. Neil Gupta is the Director of Secondary Education for Worthington City Schools, a national speaker, and a consultant with ASCD. Neil chats with us about why we need to remember that there is a human side to what we do. 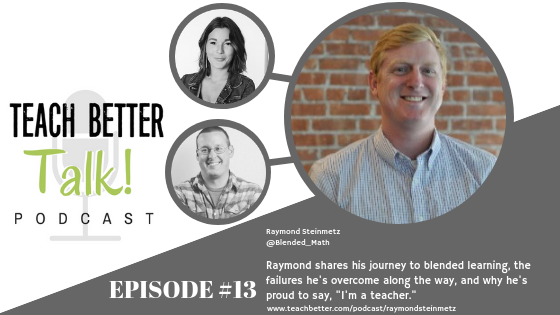 Neil shares the power of listening, and how being responsive, reflective, and vulnerable are key to being an effective leader. 2:57 – Neil introduces himself. 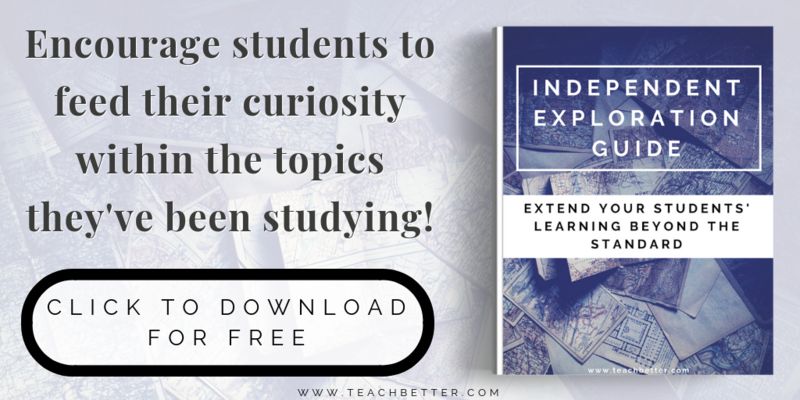 15:07 – What’s got Neil excited about education right now. 18:06 – Neil’s advice for new teachers. 21:56 – Jeff and Neil chat about their hobbies. 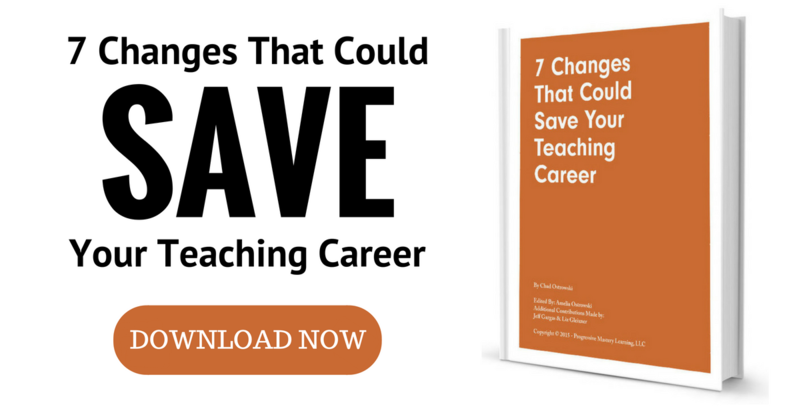 23:37 – One thing Neil hopes all teachers understand about administrators. 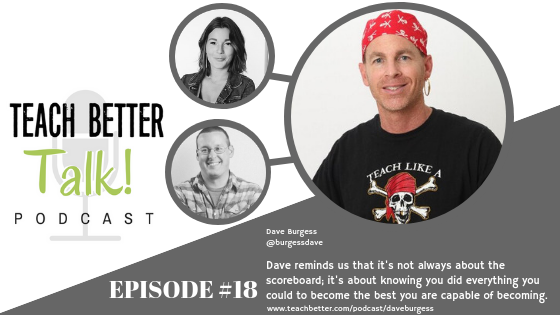 26:19 – 6 questions answered in 15 seconds or less. 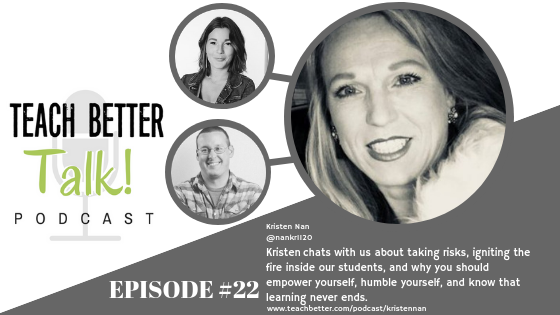 28:28 – How to connect with Neil. Book: “Energy Bus” by Jon Gordon – Reading as a District Admin team. 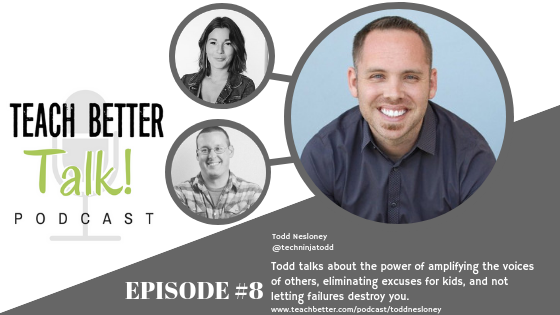 YouTube/Podcast/Website/Blog: Andy Stanley – Pastor – Great inspirational nuggets in his podcast. Daily/Weekly/Monthly Routine: Journaling or Blogging – Some place for self reflection. Best piece of advice you’ve ever received: Have the skin of an armadillo, but the heart of a marshmallow. Hashtags to Follow: #leadupchat – Every Sunday morning. 61: Create More. – Tim Cavey shares why he is focused on creating content, learning, and relationships. 60: Go Change The World. 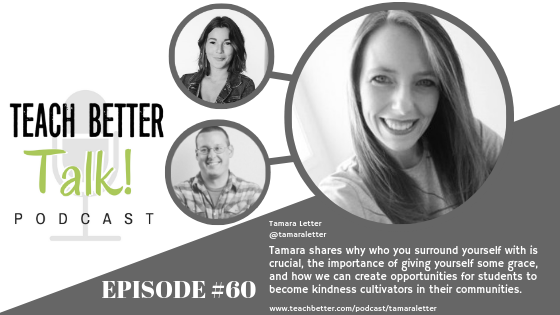 – Tamara Letter shares how to create opportunities for students to become kindness cultivators in their communities. 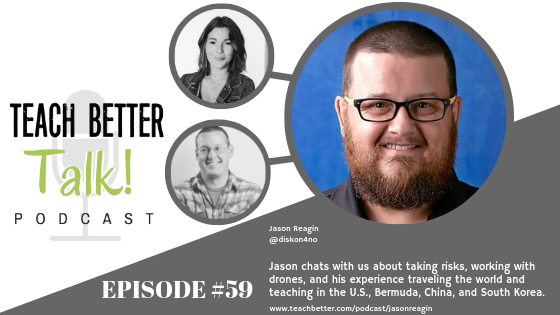 59: Taking Risks – Jason Reagin chats with us about taking risks, working with drones, and his experience teaching around the world. 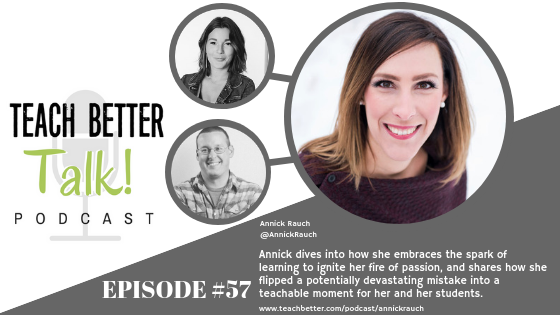 57: Ignite Your Fire – Annick Rauch answers the question, “How do you do it?” and shares how her passion drives her. 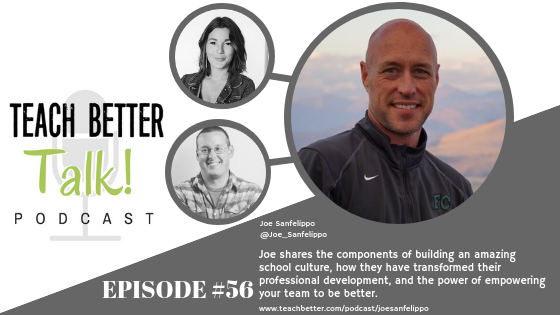 56: Legit Leadership – Joe Sanfelippo shares the components of building an amazing school culture, how they have transformed their professional development, and the power of empowering your team to be better. 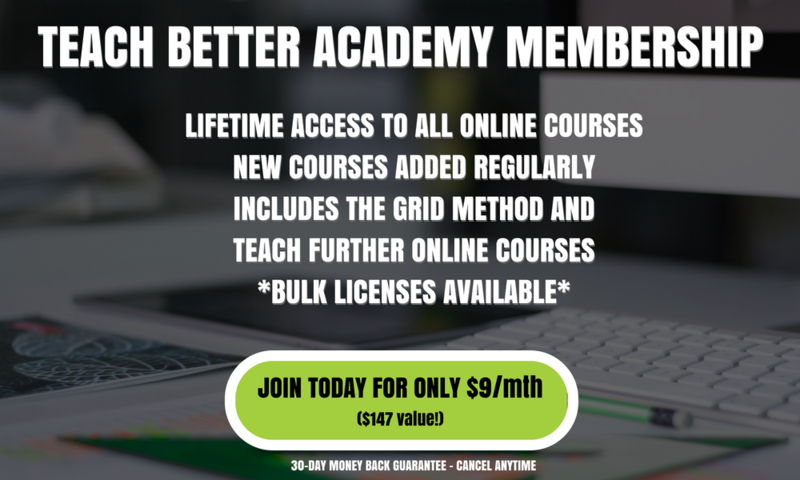 55: Take The L.E.A.P. 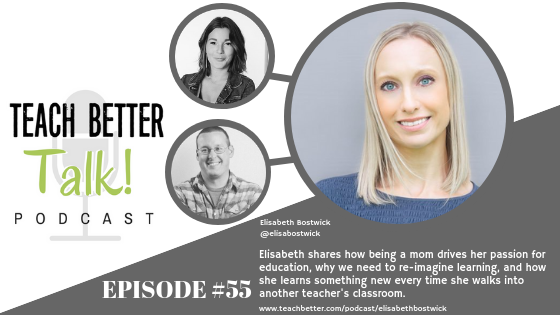 – Elisabeth Bostwick chats about why we need to re-imagine learning, and how she learns something new every time she walks into another teacher’s classroom. 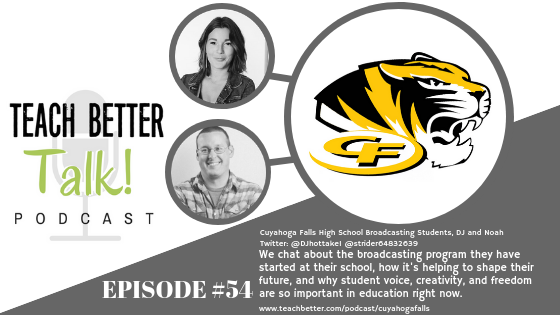 54: Creative Voices. – High school students DJ and Noah share how creativity and freedom are helping to shape their future. 53: Serve to lead. 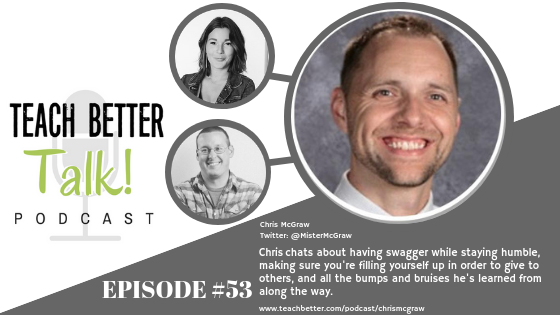 – Chris McGraw chats about having swagger while staying humble, making sure you’re filling yourself up in order to give to others, and all the bumps and bruises he’s learned from along the way. 52: One Drop Of Kindness – Jeffrey Kubiak talks with us about adapting, crushing it, and how one drop of kindness can be a win for everyone. 51: Students First. – Lauren Salsinger chats with us about keeping students in the forefront of every decision we make, and the crucial promise she made to herself. 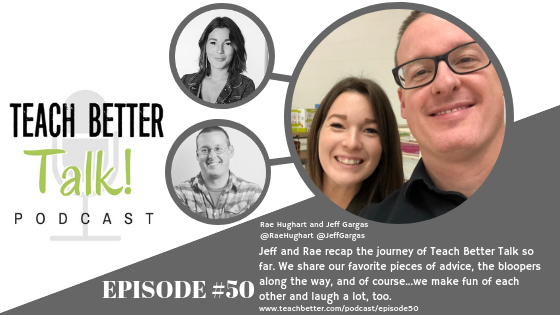 50: The Journey So Far. 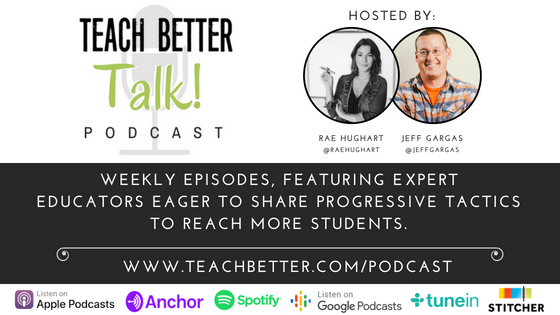 – Jeff and Rae look back at the first 49 episodes of Teach Better Talk. 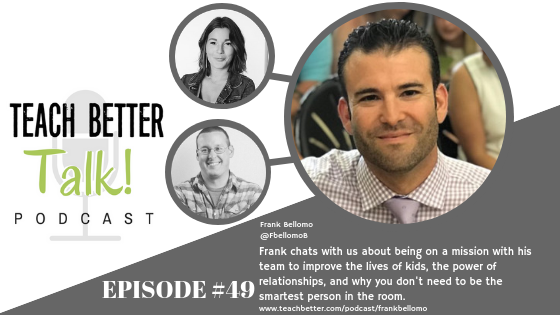 49: Make Connections – Frank Bellomo chats with us about the power of relationships, and why you don’t need to be the smartest person in the room. 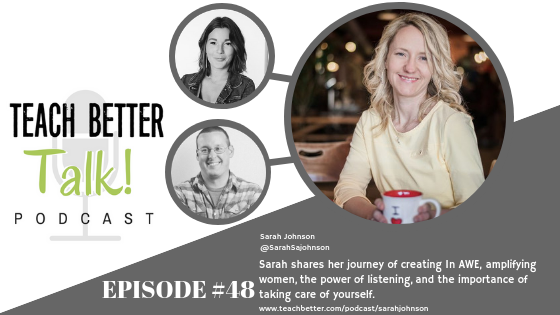 48: In AWE – Sarah Johnson shares her journey of creating In AWE, amplifying women, and the importance of taking care of yourself. 47: Being Coachable – Steve Diveley chats with us about his work with the AIMS Network, how we can question ourselves for the purpose of improvement, and the importance of being coachable. 45: Get Weird – Noah Geisel challenges us all to get weird and notice new things. 44: Girl Boss – Dr. Rena Hawkins chats with us about the current opportunities for student leadership and student voice, and why we’re not here to compete with each other. 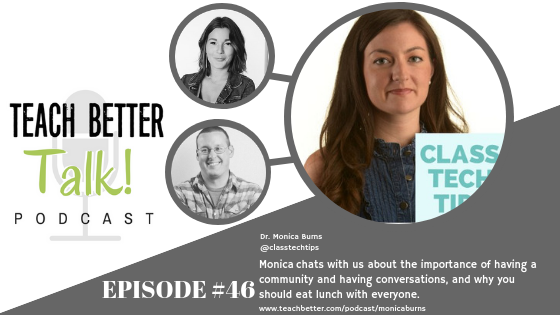 43: From Consumers to Creators – Alex Oris talks about transforming students from consumers to creators, and where our future leaders are. 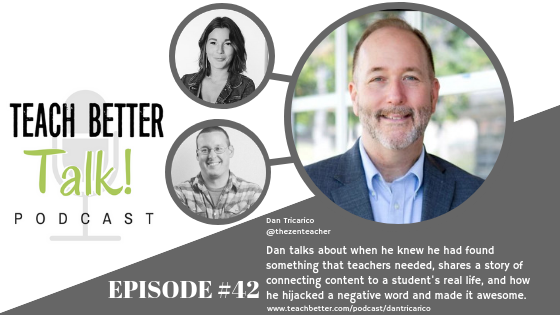 42: Pamper Triggers – Dan Tricarico chats with us about finding the things that make you zen. 39: The S.H.G. 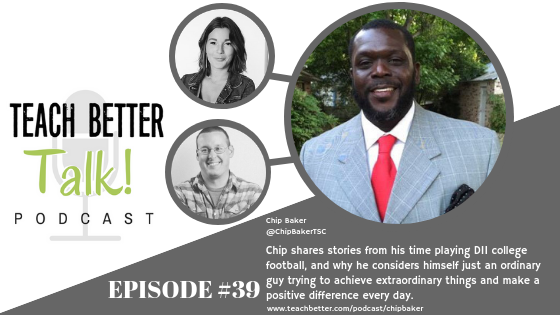 Principle – Chip Baker talks about leaving a positive impact on the world. 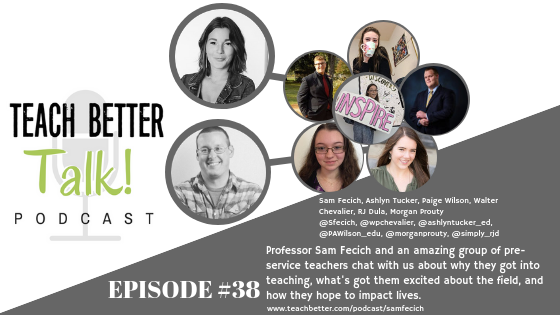 38: EduMagic – A chat with Sam Fecich and some amazing pre-service teachers. 37: Why does it matter? 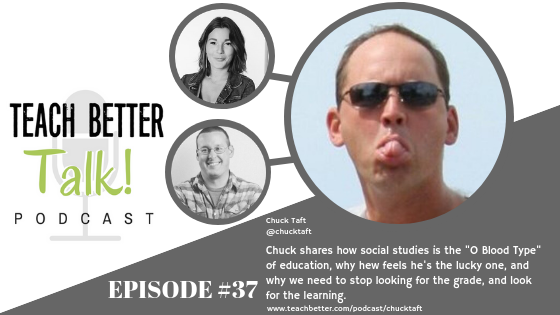 – Chuck Taft chats about why we need to stop looking for the grade, and look for the learning. 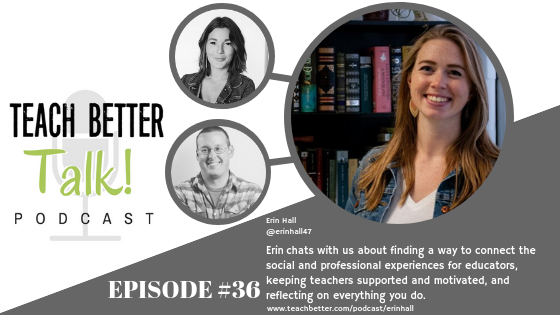 36: Building a Support System – Erin Hall chats with us about finding a way to connect the social and professional experiences for educators. 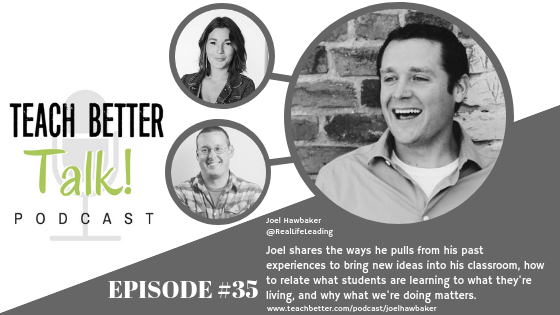 35: What we’re doing matters.- Joel Hawbaker talks about being deliberate about how we spend our time. 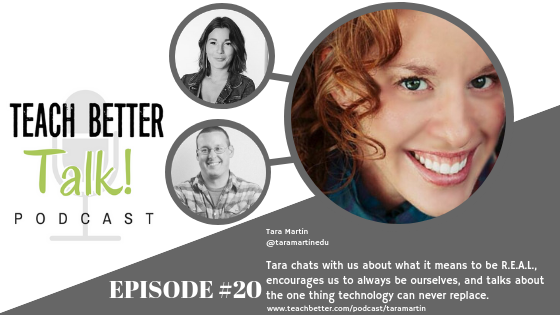 33: Ignite Your S.H.I.N.E. 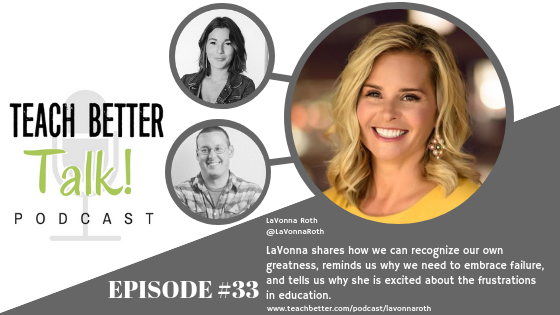 – LaVonna Roth chats with us about recognizing your greatness. 32: Allow yourself permission. – Jessie Lynch chats with us about taking the time to do what you need to do, and why she loves what she does. 30: Make it happen. 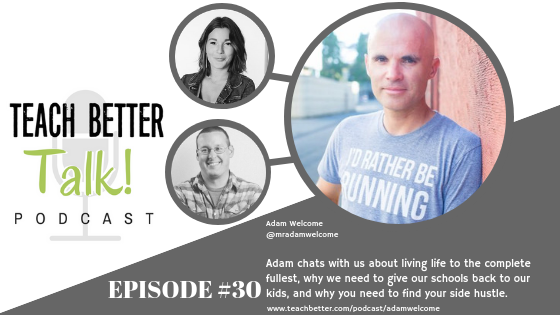 – Adam Welcome chats about living life to the complete fullest. 29: You’re not alone. 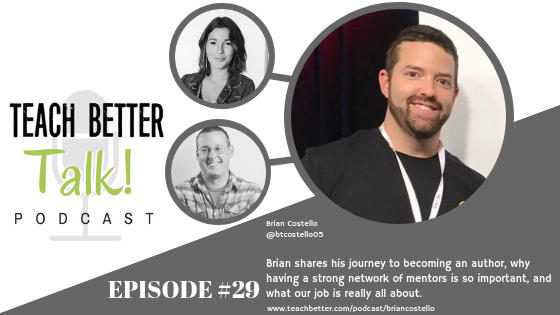 – Brian Costello shares his journey, and why your network is so important. 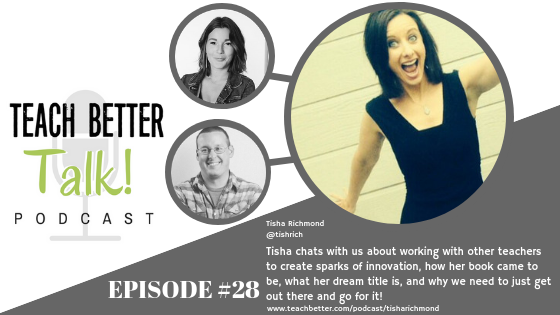 28: Make Learning Magical – Tisha Richmond shares her journey from a burnt out educator, to author and innovator. 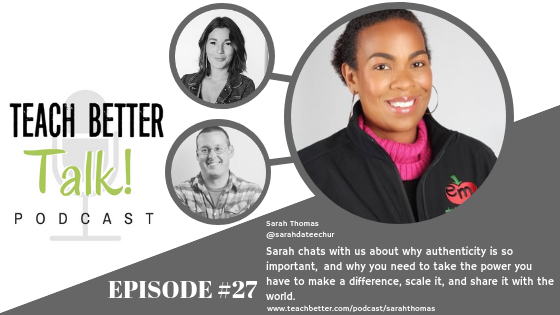 27: Stay Authentic – Sarah Thomas chats with us about why authenticity is so important, and your ‘secret sauce’! 26: Teach Better – Chad Ostrowski shares his relentless pursuit of Better and why it should be your focus, too. 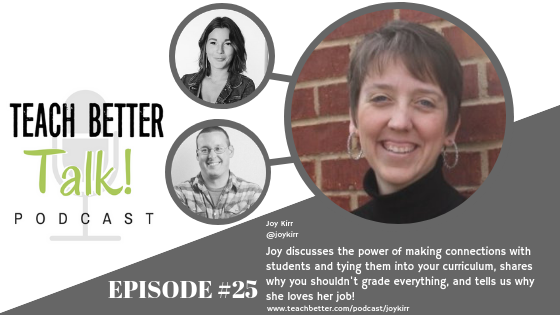 25: Shift This – Joy Kirr chats with us about why she loves her job, and why you shouldn’t grade everything. 23: Connected Change – Brianna Hodges talks about the power of connection and shared learning. 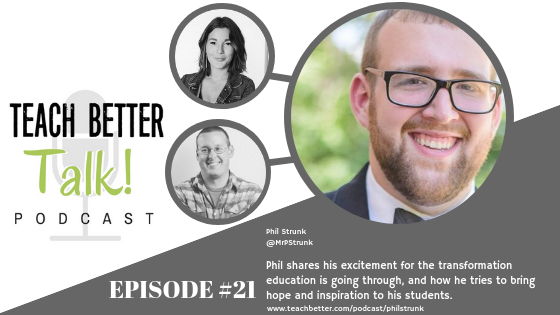 21: Making Tomorrow A Little Brighter – Phil Strunk shares how he tries to bring hope and inspiration to his students. 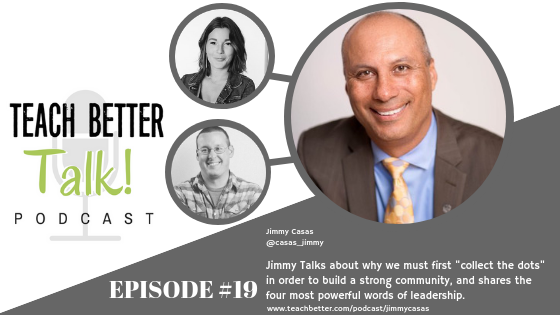 19: Collecting the Dots – Jimmy Casas chats about building a strong community and being a champion for our students. 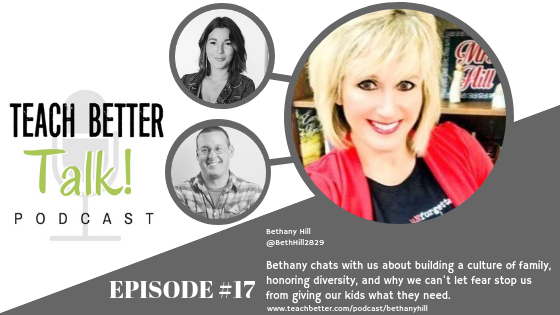 17: Joyful Leader – Bethany Hill chats with us about building a culture of family. 16: You are enough. 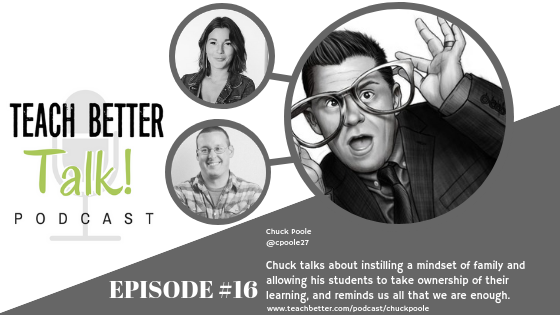 – Chuck Poole shares stories from his 19 years of experience as a teacher, coach, and mentor. 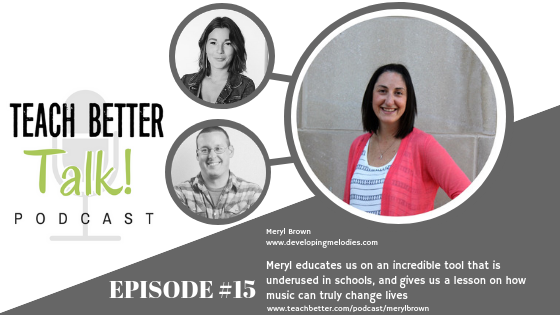 15: Developing Melodies – Music Therapist, Meryl Brown leads us as we explore the power of music and its impact in education. 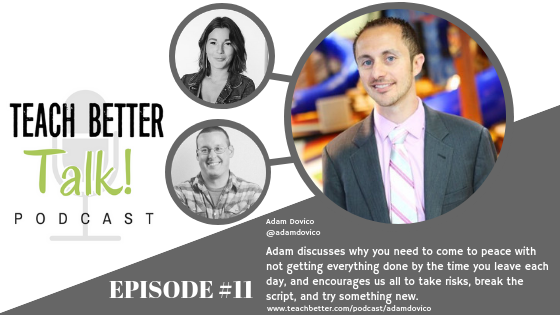 11: Break the script – Adam Dovico encourages us all to take risks and try something new. 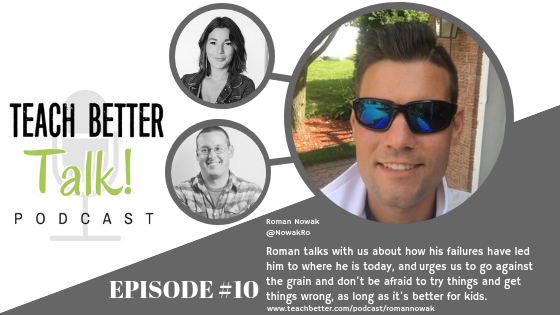 10: Don’t be afraid – Roman Nowak shares how his failures have led him to where he is, and why you should not be afraid to try things. 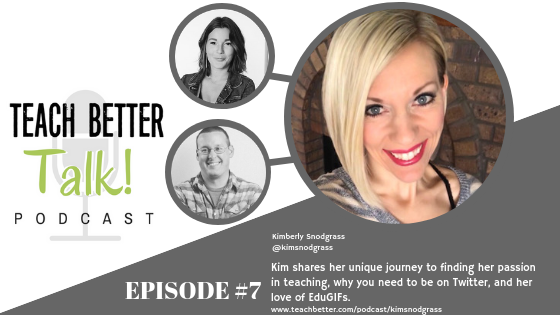 07 – Make Learning Sparkle – Kim Snodgrass shares her unique journey, and how you can make learning sparkle for you and your students. 06: A Team Effort – Bryan Zwemke talks about the power of collaboration and teamwork, and finding your balance. 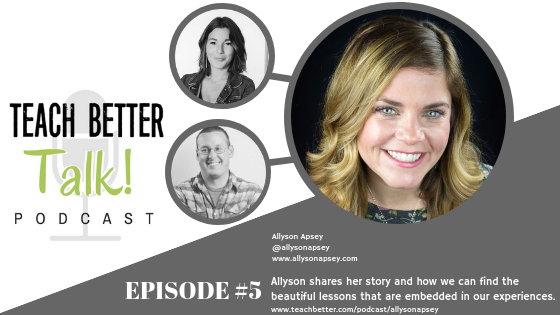 05: Serendipity in Education – Allyson Apsey shares her story and how we can find the beautiful lessons that are embedded in our experiences. 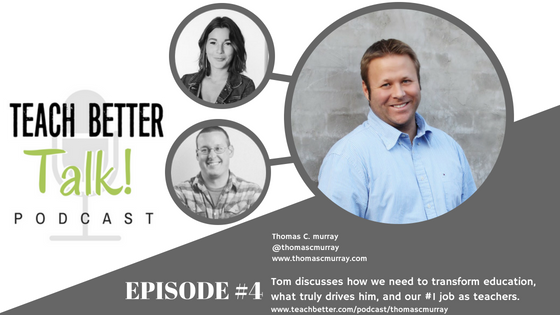 04: Transforming Education – Thomas C. Murray discusses the future of education and what our number one job is. 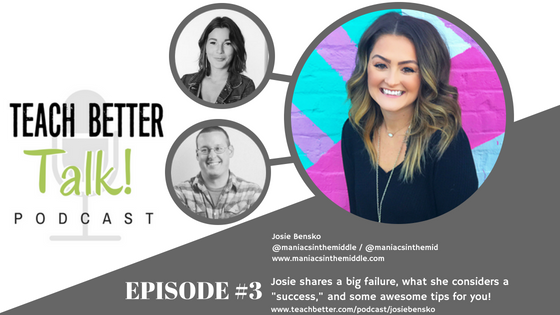 03: a “Grown-up Middle Schooler” – Josie Bensko shares what she considers a “success” in teaching, and some awesome advice. 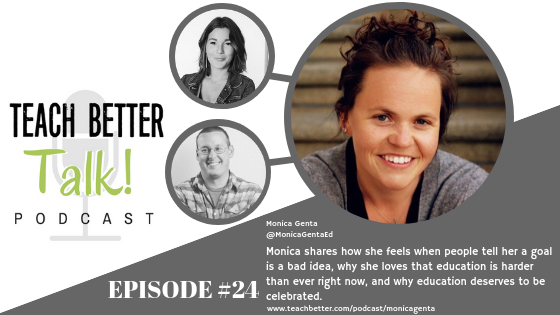 02: Relationships! Relationships! Relationships! 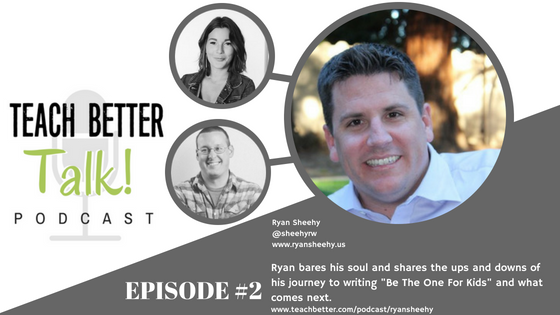 – Ryan Sheehy bares his soul and shares his journey. 01: Teaching Teachers – Adam Peterson chats about transitioning to teaching teachers.